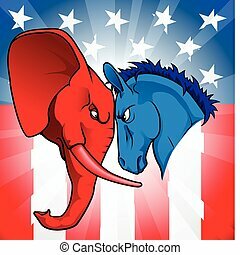 American politics republican democrat animals. 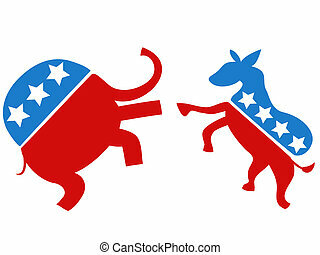 A blue donkey and red elephant fighting, american politics or election concept with symbol animals of the democrat and republican political parties. 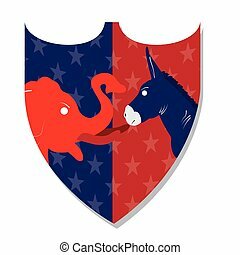 Set of republican and democrat icons in badges. 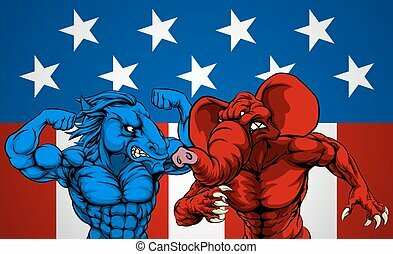 Illustration of a democrat donkey mascot of the democratic grand old party gop and republican elephant boxer boxing with gloves set inside diamond with American stars and stripes flag done in cartoon style. 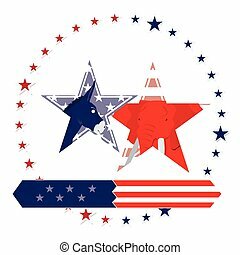 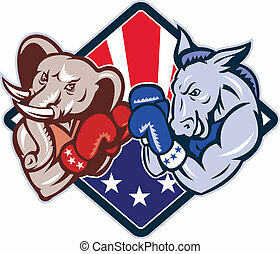 Illustration of a democrat donkey mascot of the democratic grand old party gop and republican elephant boxer boxing set inside two circle with American stars and stripes done in cartoon style. 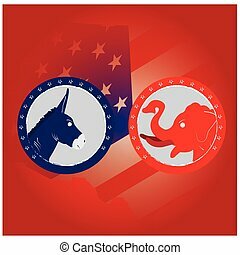 Isometric cartoon art of the democrat donkey and the republican elephant together in an over-sized hat ready to debate. 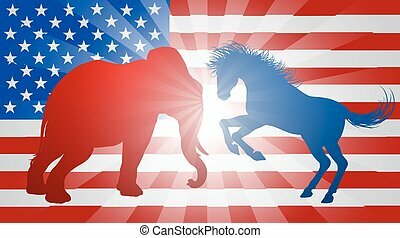 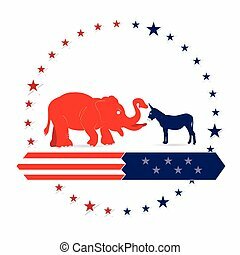 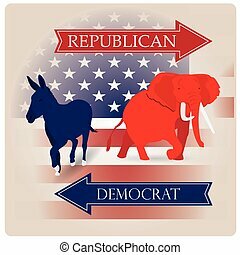 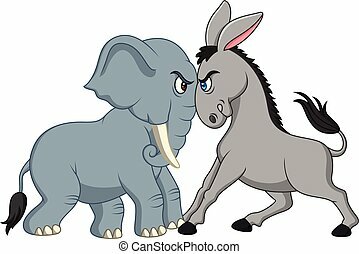 The democrat and republican symbols of a donkey and elephant facing off. 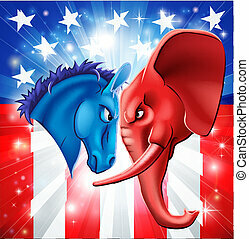 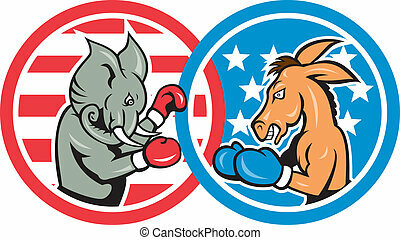 American politics concept illustration of a donkey and elephant facing off. 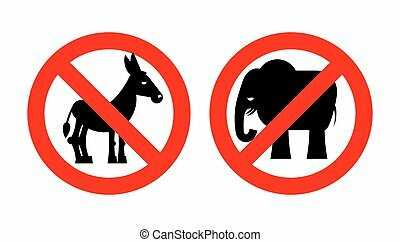 Symbols of Democrat and Republican two US parties. 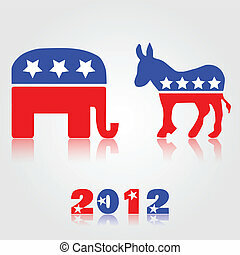 Could be for presidential debate, partisan politics, or just an election. 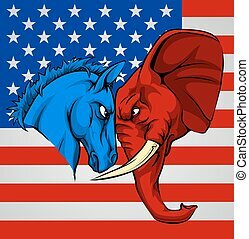 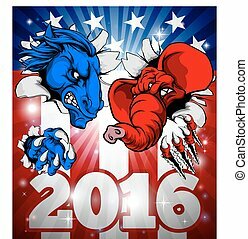 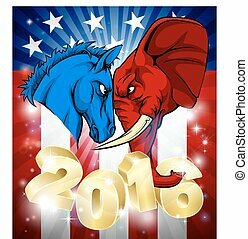 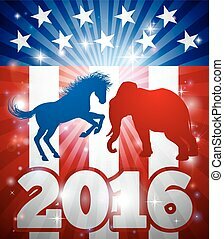 Mascot animals of American democratic and republican parties, blue donkey and red elephant in silhouette fighting each other with flag design and 2016 text. 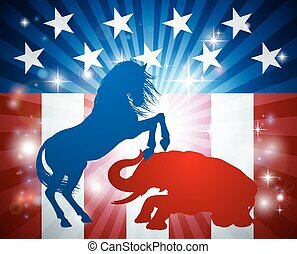 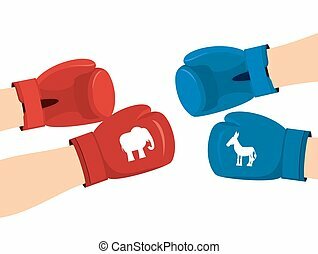 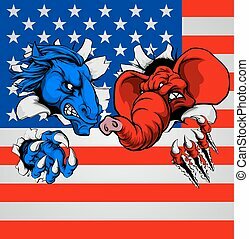 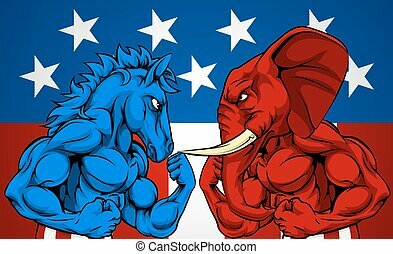 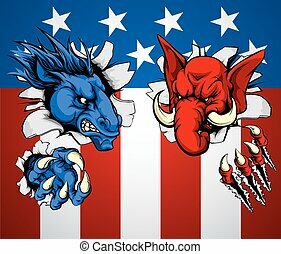 American politics election concept with animal mascots of the democrat and republican political parties, a blue donkey and red elephant fighting. 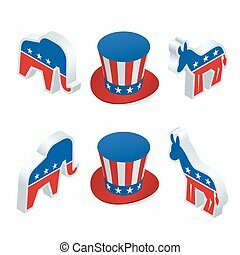 American politics election concept with animal mascots of the democrat and republican political parties. 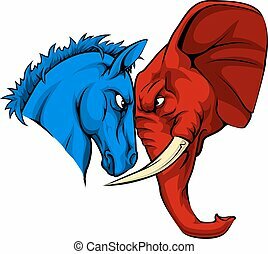 A blue donkey and red elephant staring each other down. 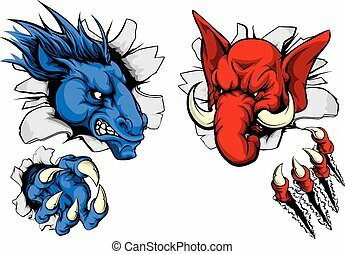 A blue donkey and red elephant fighting. 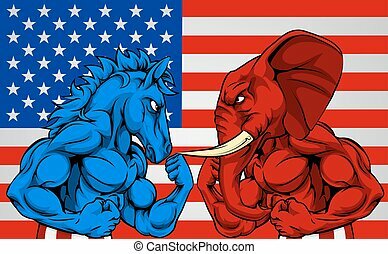 American politics election concept with animal mascots of the democrat and republican political parties in front of an American flag background.